Be swept away by the depth of history and undeniable romance offered at every stop along the way on this 11-day European expedition. The journey begins in Budapest, where the beautiful banks of the Danube lie in contrast to the stunning architecture of both Buda and Pest. 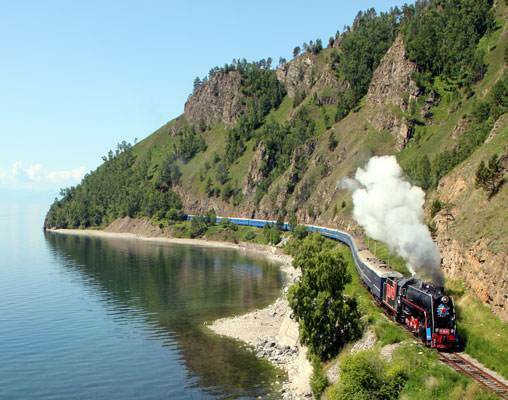 It is also from here that we board the storied rails of the Golden Eagle Danube Express for an amazing ride through ancient cities. Daytime stops along the way allow you take in the sites and scenery, including Bran Castle, the Turkish Baths in Belgrade and the mosques of Sarajevo, amongst others. At last, we cross the Italian border and visit the city of Trieste before arriving at our final destination of Venice. Combining luxury and adventure, this Balkan journey is one to remember. We enjoy a morning drinks reception in the impressive Royal Waiting Room at Budapest Nyugati station before boarding the Golden Eagle Danube Express. Settle in to your cabin and later enjoy lunch as the train heads to Lajosmizse for a spectacular ‘Puszta' horse show. Afterwards there is free time to explore Kecskemét, a fascinating city at the geographical centre of Hungary. Back onboard, enjoy a pre-dinner drink in the Bar Lounge Car as the train continues across the Great Hungarian Plain and dine as we head towards Transylvania. Today we arrive in Sighisoara for a walking tour of the town's main highlights. A World Heritage site rumoured to be the birthplace of Dracula, it is one of the best-preserved fortified medieval towns in Europe. Burgher houses and ornate churches line its cobbled streets. We return onboard for lunch as we continue onto Brasov for a tour of Bran Castle. 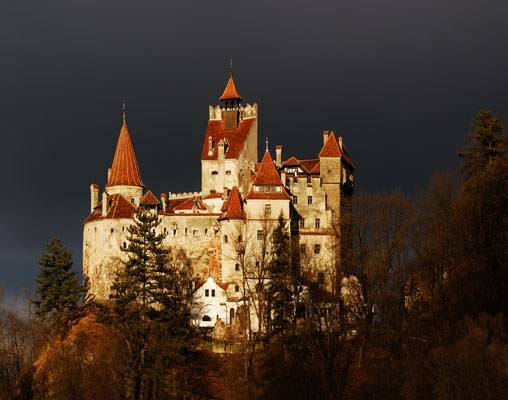 Popularly known as Dracula's Castle, this beautiful 14th century building is situated amongst stunning mountain scenery. Back onboard later this evening, the train twists and turns as it climbs over the Carpathian Mountains and threads its way through the dramatic landscape with crystal clear mountain streams. Dinner is served as our train continues onto Bulgaria. We arrive after breakfast in Veliko Tarnovo, Bulgaria’s ancient capital. Nestled in a magnificent mountain setting, the stone houses seem perched, one above the other, on the steep banks of the Yantra River. A tour includes the superbly preserved medieval Tsarevets Hill and Castle and there is free time to wander through the streets of the ancient city. Plovdiv, known as ‘The City of Seven Hills’ is the second largest city in Bulgaria and one of the oldest cities in Europe with more than 200 known archaeological sites. We spend the afternoon here exploring the many sights in the charming Old Town including its ancient theatres, medieval walls and Ottoman baths. Arrive this morning in the Serbian capital, Belgrade. Located at the strategic meeting point of the Danube and Sava Rivers, this truly cosmopolitan city has fortifications from Celtic times, medieval tombs and Turkish baths. We spend a full day here and our city tour includes Tito’s memorial, the Town Hall, Republic Square and Knez Mihajlova Street; as well as ‘Varos’ Gate and a visit to the mighty Kalemegdan Fortress. This morning we tour the historic city of Mostar, the crossroads of many civilizations, cultures and three religions. Mostar was one of the most important cities of the Ottoman Empire. The town’s renowned stone arch bridge linking the Christian and Muslim areas was re-built in the summer of 2004. We also visit a local mosque before walking through the narrow bazaar streets, where you can shop for traditional souvenirs and handicrafts. An early afternoon arrival into the Bosnian capital of Sarajevo which is an intriguing blend of Eastern and Western culture; it has mosques and minarets, an ancient bazaar and an atmospheric old Turkish quarter. Discover the city’s poignant history through a truly absorbing tour detailing the horrors of the Balkan War. Sarajevo suffered from the longest siege of a capital city in the history of modern warfare. The scars of war are still evident as we travel past war-torn buildings and we make a special visit to the Tunnel Museum under Sarajevo Airport. Your guide, who lived through the 1992-1996 conflict, brings to life in touching fashion the struggles the citizens of Sarajevo faced during the siege of the city. 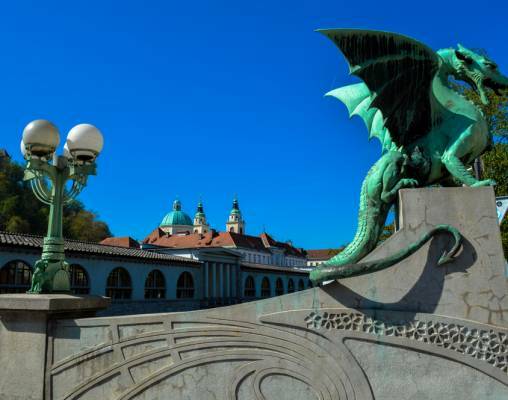 Today we enjoy a visit to the beautiful capital city of Ljubljana, a delightful combination of ancient architecture and a youthful culture with visits to Preseren Square, Three Bridges and Dragon Bridge. We then travel out of the city to visit Predjama Castle. perched on a cliff high above the beautiful Inner Carniola region. Explore the chambers and stairwells and learn about the castle's most famous resident, Erazem of Predjama. Then, we continue to Postojna Cave as we ride a mini-train deep into the famous cave and tour the ethereal network of stalactites, stalagmites and caverns. This morning our private train, the Golden Eagle Danube Express, arrives into Trieste, the Italian port for a short tour. We stop at the vast Piazza Unita d’Italia, the main town square, and can climb the hill to the famous Church of San Giusto built around a medieval complex that dates backs to the 13th century. We will go inside the church for a close-up view of the splendid Byzantine-style architecture enriched with precious mosaics. We enjoy our farewell lunch onboard as we leave Trieste and follow the Adriatic coast towards Mestre where our train curves to the left onto the 3-mile causeway across the Venice Lagoon and into Santa Lucia station on the Grand Canal. We say farewell to the train and train crew and transfer by boat to the five-star Danieli hotel (or similar) for a two night stay. The hotel enjoys a spectacular location and is only a short stroll from St Mark’s Square, the Doge's Palace and the Bridge of Sighs. Venice is a truly captivating city of romance; its unrivalled beauty takes away the breath of first time visitors and regulars alike. We have the opportunity to take a walking tour around the highlights of this spectacular city. Walk through the winding lanes beside the Grand Canal to St. Mark’s Square, which for 1,000 years was the heart of Venetian life. 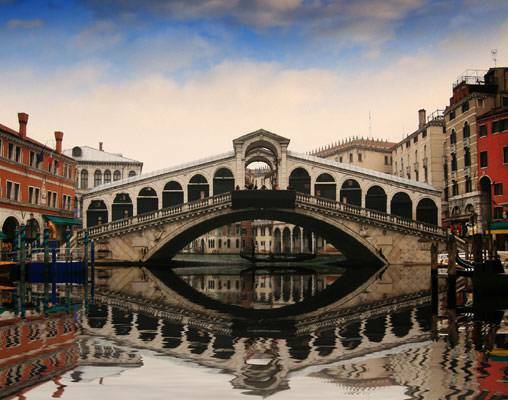 We also see St. Mark’s Basilica and stroll through the Rialto Market. Alternatively enjoy the city at your own pace today. Perhaps take an iconic gondola ride in the Basin of St. Mark’s and along the Grand Canal or stroll through the artists’ district of Dorsoduro, stopping to take in the city’s most breathtaking views from the Accademia Bridge. Simply enjoy the city at your leisure. Balkan Odyssey is also available for travel from Venice to Budapest based on your travel preference. Hotel accommodation are at the Four Seasons Hotel Gresham Palace, Budapest and the Danieli Hotel (or similar), Venice. Accommodations aboard the Golden Eagle Danube Express are available in Heritage Class and Deluxe Class. Heritage cabins are 33 square foot private compartments that include a full length couch for daytime seating (converting into an upper and lower berth in the evening), a large picture window, clothes hanging storage and power outlets, and remote controlled air-conditioning. Toilet and shower facilities are located at opposite ends of the Heritage cars. Deluxe cabins are 83 square foot private compartments that include a private en suite bathroom with cubicle shower, two armchairs and a free standing chair for daytime seating (converting to two beds for the evening), a large picture window, full length wardrobe and power outlets, and remote controlled air-conditioning. Hotel accommodations are based on availability; substitutes will similar in quality and amenities. 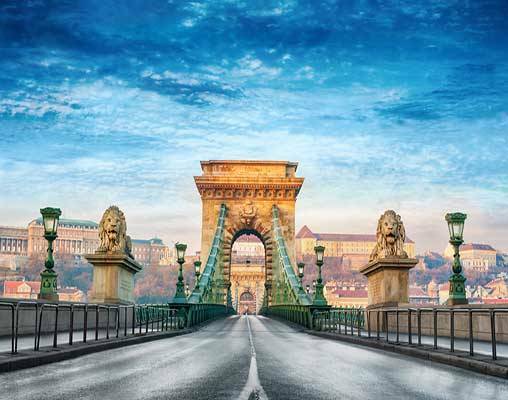 Enter your details below if you would like to be notified when 2020 dates and prices are available for The Golden Eagle Danube Express - Balkan Odyssey. Prices are land-only, per person, based on double occupancy. Prices are correct at the time this web page is published; however, are subject to change.